I’ve got a couple of ideas for all of your turkey leftovers. 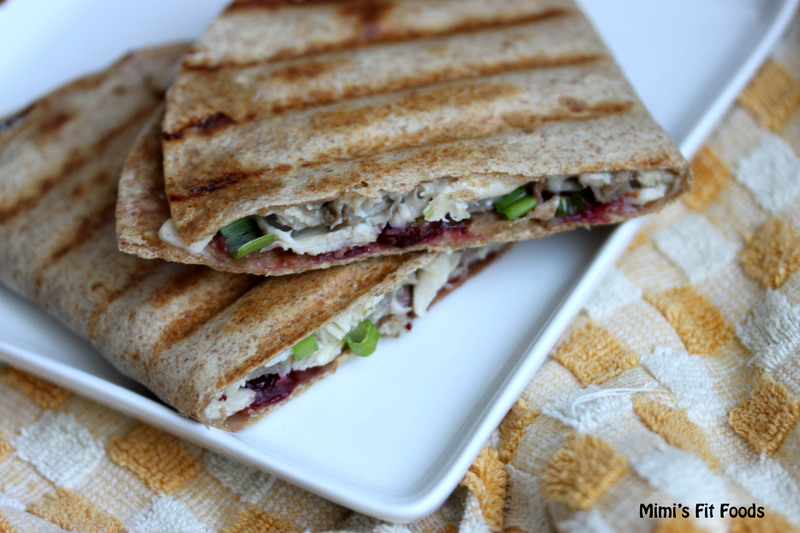 I use my turkey leftovers in very common ways (like turkey-cranberry sandwiches – YUM! ), but I also like trying some non-traditional leftover recipes too. This is one of those non-traditional uses of leftovers, but it’s SUPER easy and tasty too. First off – who doesn’t love a quesadilla!? I mean what’s not to love about a filling with delicious melted cheese? When I saw the idea for this, I knew I had to try it and I was glad I did. It took all of 2 minutes to assemble (and that’s only because I had to dice my green onion) and it was ready in less than 8 minutes. I loved how the sweetness from the cranberry sauce blended with the taste of the Swiss cheese. The green onions offer a nice hint of freshness. 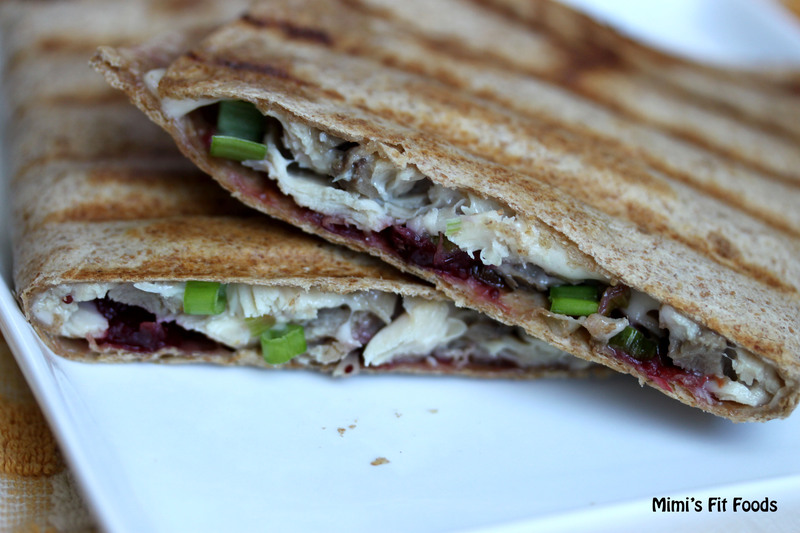 We liked this use of leftover turkey and maybe, just maybe you will too! Lightly coat a large skillet with cooking spray and place over medium heat. (See tip below for optional cooking directions which I actually prefer.) Place a tortilla in the skillet and over half of the tortilla sprinkle 1 slice of the chopped light Swiss cheese, half the leftover turkey, and green onions. Spread 1 tablespoons cranberry sauce on the other half of the tortilla. Fold tortilla over the filling and cook until lightly browned, about 3 minutes. Turn and brown the other side. Remove from skillet and set aside for about 1 minute. Cut quesadilla into wedges and serve. Repeat with the second tortilla and remaining ingredients. Optional Cooking Tip: I often cook these on my indoor grill (aka George Foreman). It makes it SUPER handy so that I don’t have to actually flip the tortilla over in a skillet (which sometimes can be disastrous with the filling falling out all over the place….not that I would know!). I can also cook at least two at a time (one for me and one for the hubby) in record time.